Master Teacher/ Practitioner: Reiki Jin Kei Do, Angelic Reiki; Accredited Trainer/ Master Practitioner: Emotional Freedom Technique Master Practitioner; Emotional Transformation (Emotrance); Energy in Motion Master Practitioner. I have 20 years experience of energy work and am an Advanced/Master Practitioner and Master/Teacher of the following therapies: Reiki Jin Kei Do; Angelic Reiki; Meridian Energy Therapies (Emotional Freedom Technique; Emotrance; Energy in Motion). 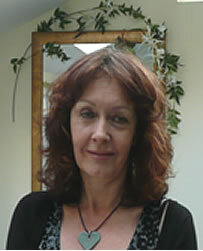 I am also a qualified Aromatherapist; Seikem and Integrated Energy Therapies Practitioner. I have a comprehensive knowledge of gemstones which I have built up over the years. I specialise in Synergistic, combined treatments to maximise therapeutic effect. I carry out small group or individualised teachings in beautiful, tranquil surroundings and provide home cooked food and refreshments. I also provide comprehensive manuals and supporting information. I am a qualified Social Worker and have an Honours degree. I worked for the Probation Service for 19 years and have spent 9 of those teaching/ managing before seeking early retirement in April 2011 to focus on my therapies. Life experiences including bereavement; caring for loved ones with serious illnesses and studying a range of disciplines have given me a deep compassion for and understanding of people and the problems they face whether emotional, spiritual or physical. I have substantial experience of anxiety and stress management. I have grown and used herbs for 30 years and have always been interested in complementary therapies and maximising well being. I could not now imagine my life without the therapies I practice; they have brought me a constant sense of gratitude and well-being along with support in difficult and challenging times. Every therapy I have learned has deepened my connection with and sensitivity to energy. I really enjoy practising and teaching and work to make each experience special. I have a long-standing support group and for the last 3 years a local meditation group. My beautiful home is designed to maximise the benefits of energy work. I work from home or carry out home visits. I am a member of the UK Healer Foundation, British Complementary Medicine Association, Guild of Energists; U.K. Reiki Federation; Angelic Reiki Association and the Federation of Holistic Therapists, being insured through the latter. Some years ago I was going through a very bad time. A friend of mine suggested that I go and see Denise. I started with having some therapies, then I decided to do my Reiki 1&2 and Angelic Reiki with her. More recently I gained my EFT Master Practitioner and Reiki Master Practitioner Qualifications. Denise is an amazing woman and teacher. She is so positive and makes you feel wonderful. She has become a close friend and a mentor. I can honestly say that Denise has changed my life for the good. I am not sure where I would be now if I had not met her. I began working with Denise in 2012 because I felt very depressed and stuck in a stale situation. She is a very compassionate, intuitive and humorous person and I felt very safe with her. She helped me overcome my depression and make major changes in my life including starting my own business, finding my ‘soul mate’ and more recently securing my dream job to fit in with my business. I continue to see her because working with energy makes me feel so revitalised and positive. Why not give me a call today?